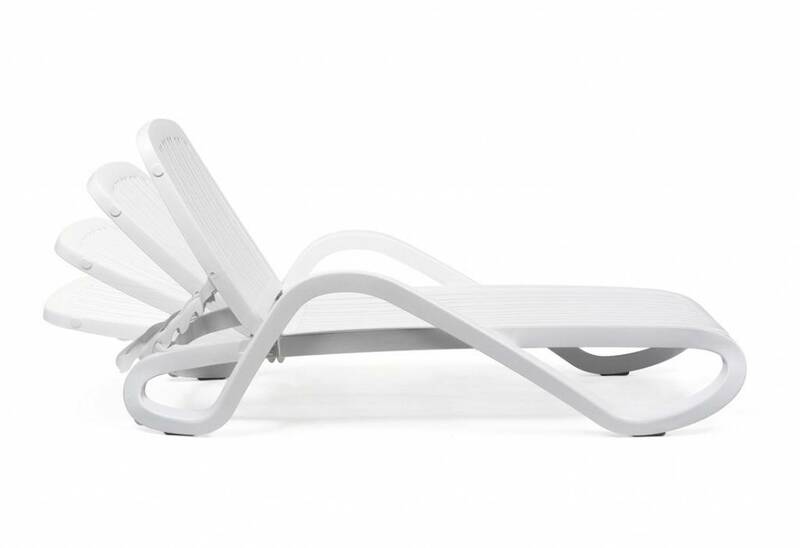 Sunlounger with arms. 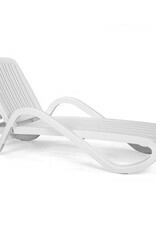 Tubular frame in polypropylene with UV additives and is uniformly coloured. 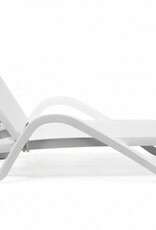 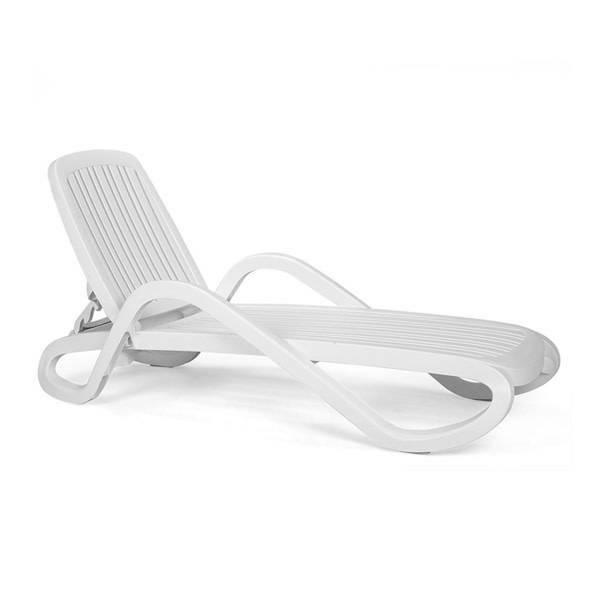 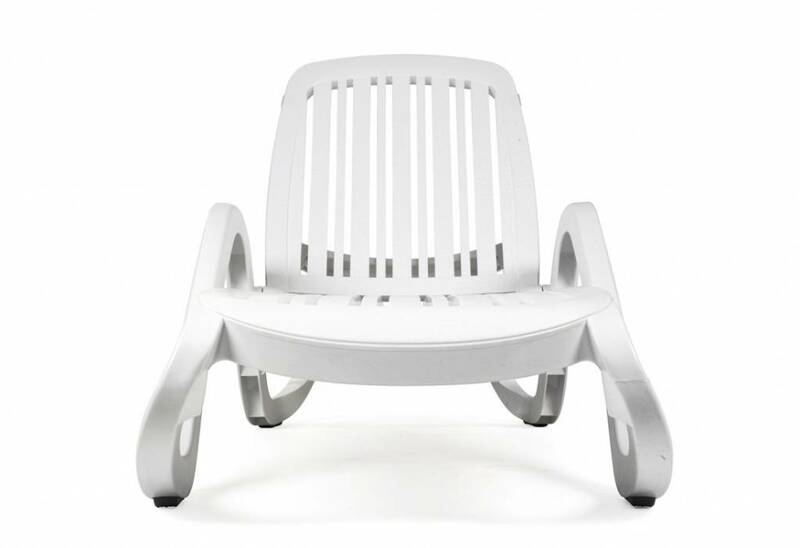 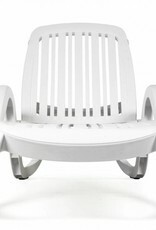 Stackable, back reclining in 4 positions, with non- slip feet and small wheels.